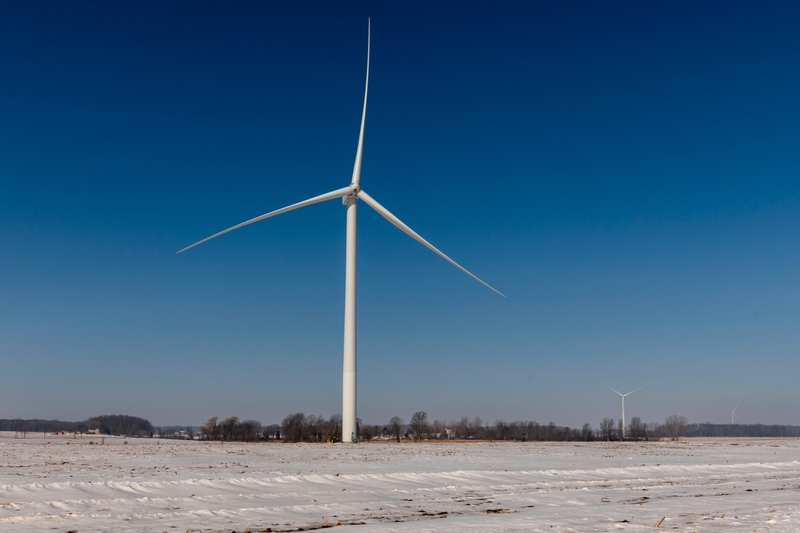 Eight of DTE’s 13 wind parks are located in Huron County including Pinnebog wind park. DTE’s Pine River wind park, located in Gratiot and Isabella Counties. 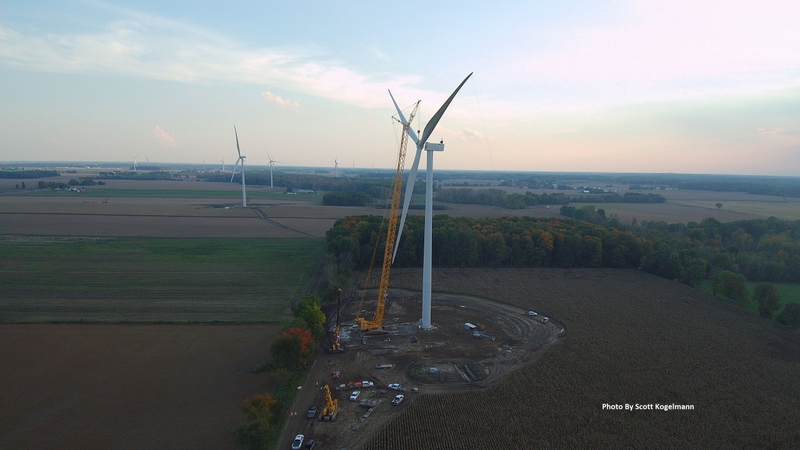 Pine River will soon become DTE’s largest wind park upon commissioning in March 2019. Wind turbines at Pinnebog wind park in Huron County. A wind turbine being assembled at Pine River wind park in Gratiot and Isabella Counties. 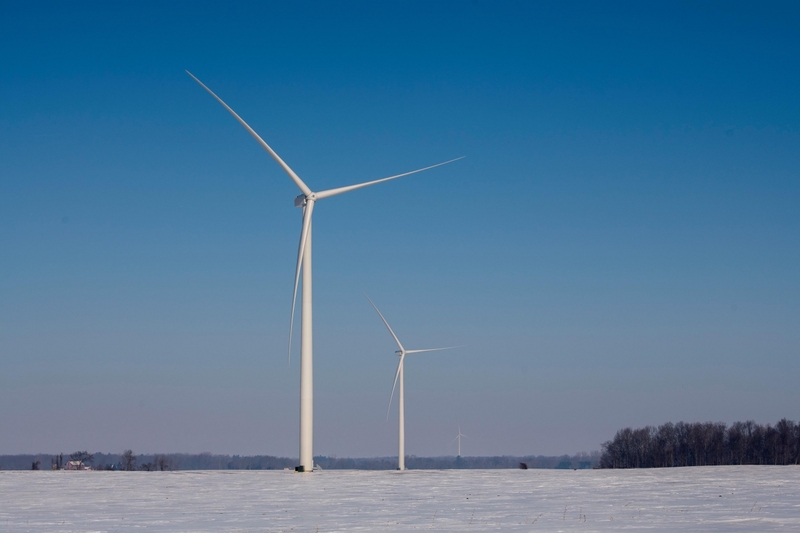 DETROIT, February 26, 2019 /3BL Media/ — As part of its commitment to increasing its renewable energy footprint globally and finding clean energy solutions near its operations, General Motors Co. (NYSE: GM) has partnered with DTE Energy for 300,000 megawatt hours (MWh) of wind energy in the state of Michigan. Once complete, the energy sourced will be enough to power 100 percent of the electricity needs of GM’s global technical center in Warren and its Detroit-based operations at the Renaissance Center. The 300,000 MWh are equivalent to the amount of power consumed by nearly 30,000 U.S. households per year. To date, GM has contracted or invested in a total of 1.71 terawatt hours of clean energy power in North America, equivalent to more than 145,000 households and more than any other automaker in the region. GM will source the wind power through an agreement with DTE Energy’s MIGreenPower, a renewable energy program that enables DTE customers to attribute up to 100 percent of their energy use to DTE clean energy projects in Michigan. In January 2019, DTE received approval from the Michigan Public Service Commission to offer a MIGreenPower program designed for major Michigan corporations and industrial companies who want access to more renewable energy to meet corporate sustainability goals. DTE plans to build or acquire additional clean energy projects and expand MIGreenPower to meet increasing customer demand. It will begin sourcing to GM once the first new projects are on line. As the state’s largest producer of renewable energy, DTE will more than double its renewable energy generation capacity, investing an additional $2 billion in wind and solar by 2024. As part of its commitment to reduce carbon emissions by more than 80 percent by 2050, DTE is significantly increasing the amount of clean energy in its generation portfolio. Cactus Flats — The Texas-based wind farm helps GM’s Arlington Assembly run on 100 percent clean wind energy. The 148-MW facility based in Concho County operates in partnership with Southern Power. 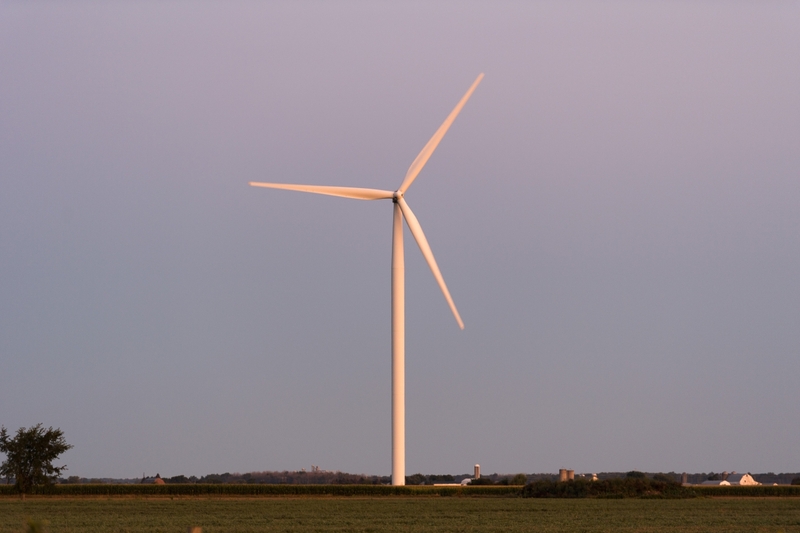 HillTopper — Enel Green Power’s first U.S.-based wind farm, of which 100 MW provide 100 percent renewable electricity to all of GM’s Indiana and Ohio manufacturing facilities. GM is a member of the Renewable Energy Buyers Alliance (REBA) and an early signatory of RE100, a collaborative global initiative uniting influential businesses committed to 100 percent renewable electricity, working to massively increase demand for and delivery of renewable energy. “Our 100 percent renewable energy commitment, along with our pursuit of electrified vehicles and responsible manufacturing, is part of GM’s approach to strengthening its business, improving communities and addressing climate change,” said Threlkeld. DTE Energy (NYSE: DTE) is a Detroit-based diversified energy company involved in the development and management of energy-related businesses and services nationwide. Its operating units include an electric company serving 2.2 million customers in Southeastern Michigan and a natural gas company serving 1.3 million customers in Michigan. The DTE portfolio includes energy businesses focused on power and industrial projects, renewable natural gas, natural gas pipelines, gathering and storage, and energy marketing and trading. As an environmental leader, DTE will reduce carbon dioxide and methane emissions by more than 80 percent by 2050 to produce cleaner energy while keeping it safe, reliable and affordable. DTE is committed to being a force for good in the communities where it serves through volunteerism, education and employment initiatives, philanthropy and economic progress. Information about DTE is available at dteenergy.com, empoweringmichigan.com, twitter.com/dte_energy and facebook.com.